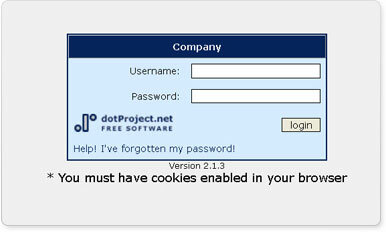 dotProject is a web-based project management application, designed to provide project layout and control functions. To understand dotProject, you need to understand what project management is all about. Project Management is about the structuring of a series of tasks and the schedule associated with those tasks, to achieve an outcome. The nature of those tasks and the schedules and any associated functions (such as project planning, contract negotiation, risk management, cost management and so on) will depend greatly on the nature of the projects that you can management.